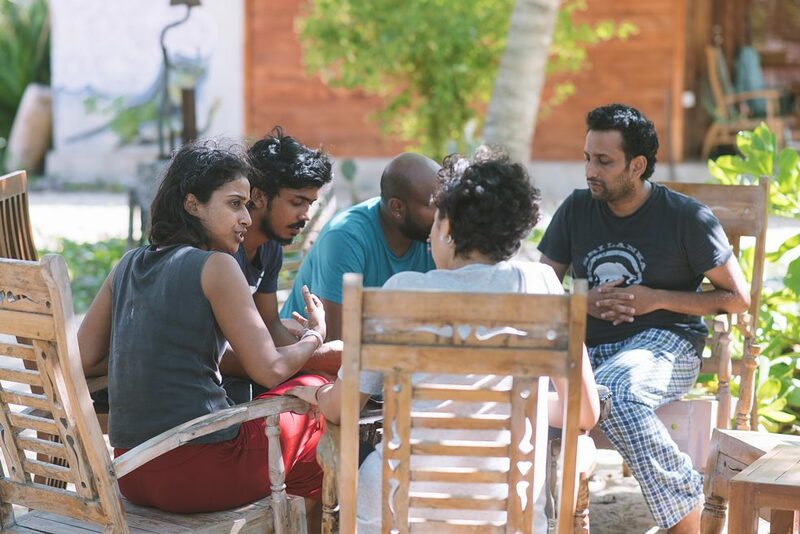 In the daily morning and afternoon workshops of this residency in Kalpitiya, the participants had time to work on themselves and exchange ideas with each other. The focus was on concept development, composition, research, improvisation and contemporary dance. The workshops were composed of practical units as well as reflection and discussion sessions. The main topics of this year's camp were the use of and the relationship to space as well as the conscious perception of sound. 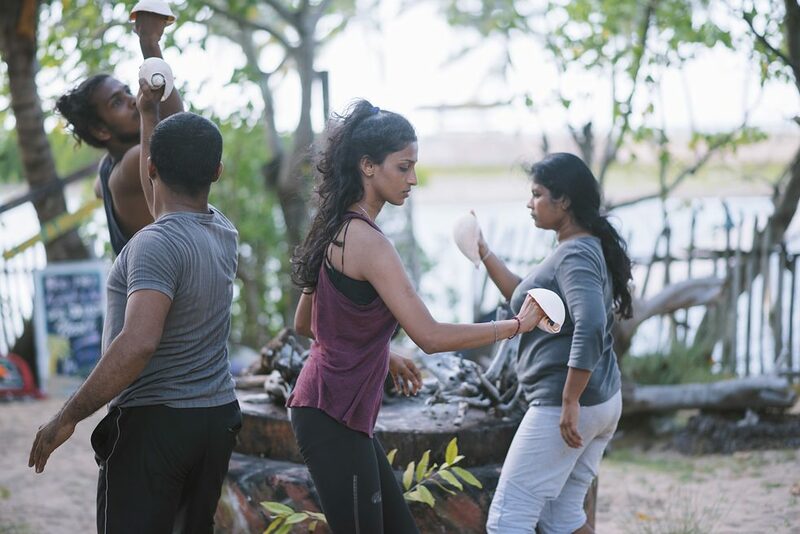 Many sessions took place without any music as such, so the participants used the sounds of the surroundings and the sounds they created by their movements as the only background sound. 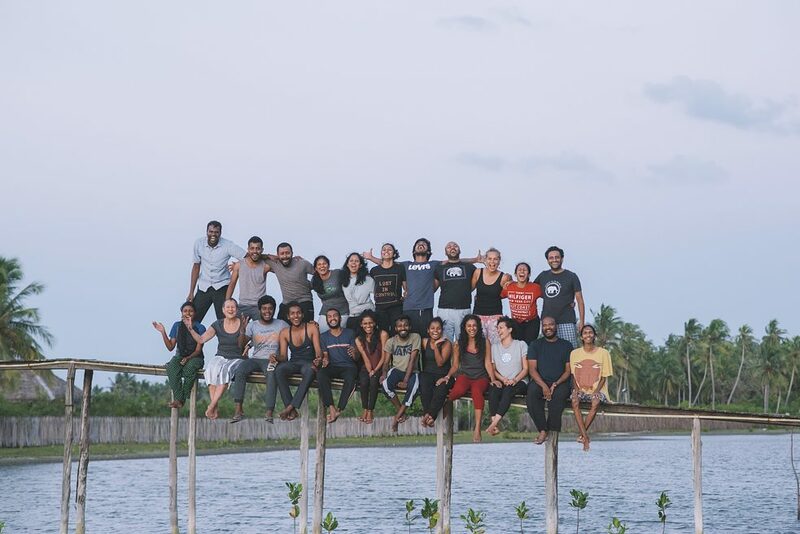 Dance Camp Kalpitiya 2018 | © Ruvin de Silva In addition, the participants were supervised in the development process of their respective new work. Throughout the workshops, they had the opportunity to apply what they have learned to their current piece and try different things to further develop their work. In addition, mentoring sessions took place, which further contributed to the individual development processes. Dance Camp Kalpitiya 2018 | © Ruvin de Silva Since around half of the group already participated in the choreography camp last year, the question was not so much how to break with traditional dance movements and to find an first access to contemporary approaches and free movement patterns, but rather how to development an own style in the field of contemporary dance and to further develop the field of contemporary dance. So the 2018 Camp can be seen as a continuation of the Choreography Camp 2017. The communication between the Sinhala- and Tamil-speaking participants worked flawlessly thanks to the simultaneous translation of Nicholas Kirutharshan, Venuri Perera and Sudesh Mantillake.